BBQ (pulled pork – the real kind 😉) cole slaw, fries. All GF. All insanely good. Now, there’s a special way to cook these ribs and it’s super easy. My girl, Cindy, taught me how and I’m excited to share it with you! – Ok, grab your ribs, throw them in the crockpot, cover them in water, turn the heat on low and leave them be. *If you want BBQ for lunch, you’ll start this the night before. If you want BBQ for dinner, you’ll start this first thing in the morning. They will cook for anywhere from 6-8 hours. – When you’re ready to eat, pull them out (they’ll be fallin off the bone). Stick them I’m a glass dish and smother them with Sweet Baby Rays. You can either throw them I’m the oven at 350 for about 10-12 min. Or pop them in the microwave for that long. – Pull them out and enjoy! I love to eat mine with cole slaw, baked beans, fries and potato salad. I always put mine in my Perfect Plate and go to town. It’s easy, no fuss and makes your mouth happy. I’ll share my famous cole slaw recipe another time! 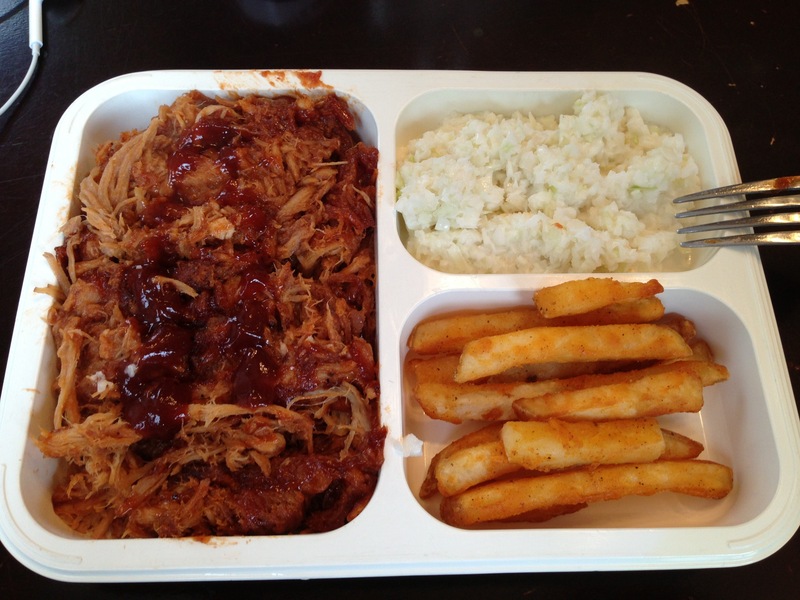 This entry was posted in Uncategorized and tagged BBQ, cole slaw, crockpot meals, easy meals, French fries, gluten free diet, gluten free food, gluten free meals, lunch, microwave, perfect plate, pulled pork, ribs, southern cooking, Sweet Baby Rays on May 19, 2013 by Miss Gluten Free.